Metal roofing from DuBois ABC Seamless provides homeowners in Minneapolis, or any surrounding community in Minnesota, extraordinary durability and attractiveness. The steel roofing products we install come in a wide assortment of styles and colors, so you can choose a look that truly suits your taste and the architecture of your home. Plus, steel offers unequalled protection against the elements. Our metal roofing is guaranteed to last the lifetime of your house, which means it’s the last roof you’ll ever need to have installed. Impact resistance – Our steel products protect your home from hail and wind-blown debris better than asphalt shingles or other roofing materials. Fire protection – Steel does not burn, which means sparks from fireworks, bonfires, falling embers, and other causes of roofing fires won’t be a concern. Energy efficiency – Our roofing materials use Cool Roof Technology, which reflects sunlight and helps reduce energy costs. Metal roofing products have come a long way over the years. 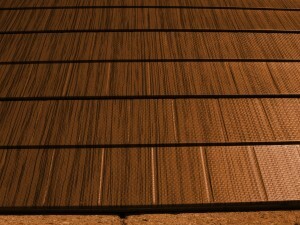 In the past, homeowners may have associated the idea of a steel roof with noisy, unattractive tin roofs. However, steel roofs today are well-insulated and manufactured in such a way that they are no louder during rainfall or storm conditions than other roofing materials. What’s more, they will maintain their “like new” appearance for years to come, thanks to their extraordinary coating, which will not fade, even after years of UV exposure. If you’re interested in learning more about metal roofing and how it can benefit your home in Minneapolis, MN, or throughout the Twin Cities region, contact the roofing experts at DuBois ABC Seamless today.